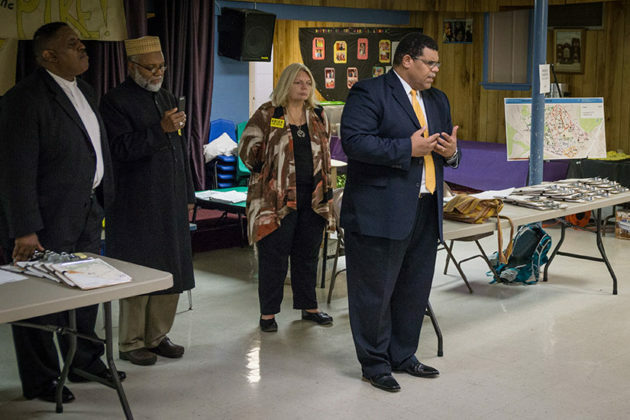 The group is part of the Virginians for Organized Interfaith Community Engagement, an organization that supports social justice causes like affordable housing and that strives to increase the amount of people who actively engage in local politics. As of 9 a.m. this morning, Nov. 3, VOICE members had talked to almost 600 people who pledged they would vote, said VOICE spokeswoman Marjorie Green. 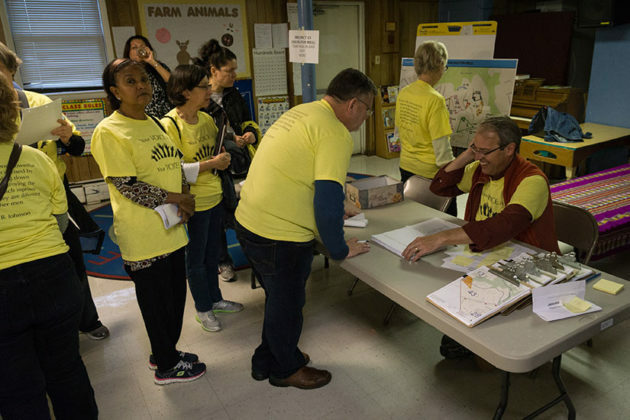 Arlington residents are voting for two new County Board members, making this an election that will set the direction of county policy for years to come. “Even if only a third of those voters actually go to the polls, we figure we will have contributed to a more than 20 percent increase in voter turnout, a pretty significant figure in an election in which, as I just heard, the county registrar is saying turnout thus far is only about 15 percent,” Green said. 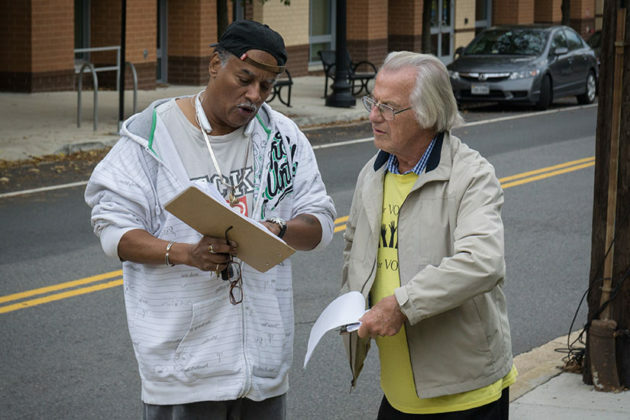 VOICE’s goal with its “Get Out the Vote” push is to engage with 2,000 people in the Glebe and Arlington Mill voting districts in hopes of raising voter turnout by 5 percent, the group said in a press release. The Glebe voting district includes the Nauck neighborhood, and the Arlington Mill district is made up of people in Columbia Pike and Arlington Mill areas. VOICE is targeting the Glebe and Arlington Mill voting districts because people living there have historically skipped voting in off-year elections, like today’s, Green said. They have also raised concerns of their voices not being heard by county officials, said Rev. James E. Victor, Jr., the pastor at Mount Olive Baptist Church in Arlington View and a VOICE leader. Residents in the Glebe voting district can vote at the Drew Recreation Center (3500 23th Street S.) and those in the Arlington Mill district can vote at Campbell Elementary School (737 S. Carlin Springs Road). VOICE members stood at bus stops this morning encouraging people to stop by the two polling places and to cast their votes, Green said, adding that the organization will also be calling people throughout the day in hopes of getting more people to vote.